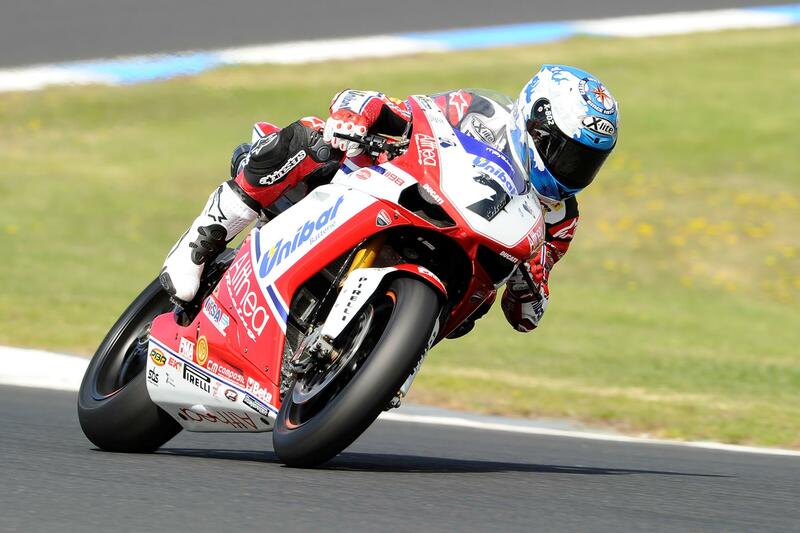 Althea Ducati rider Carlos Checa continued his dominance at Phillip Island with a commanding victory in the first race of 2011. Eugene Laverty got the jump from the lights and led the race for the first few laps before the veteran Checa retook the lead, stretching it out to four seconds before the end of the race. Reigning champion Max Biaggi rode a similarly lonely race to finish second after passing Eugene Laverty shortly after Checa. Brit Leon Haslam took the last step on the podium, managing to hold off Yamaha duo Eugene Laverty and Marco Melandri in a sprint to the finish line. Jonathan Rea was running well in the top six despite his injuries, but finished 12th after running off midway through the race.